You might have noticed a lot of businesses are closing on the southwest corner of 14th and U, and it’s my bad for not explaining why. El Paraiso has closed, Dominos has closed, Taco Bell has closed, the United Supreme Council National Headquarters and Archives building will be closed soon, and I’m probably missing a business in there. What are they making way for? Utopia – a development from uber-builder JBG. What will it be? Massive, a mixed use development (sounding familiar?) preserving the historic buildings along 14th and U, and knocking out the not-so-historic ones (aka all of the fast food restaurants that closed). Not sure when this will break ground, but the project is slated to open in Fall of 2013. 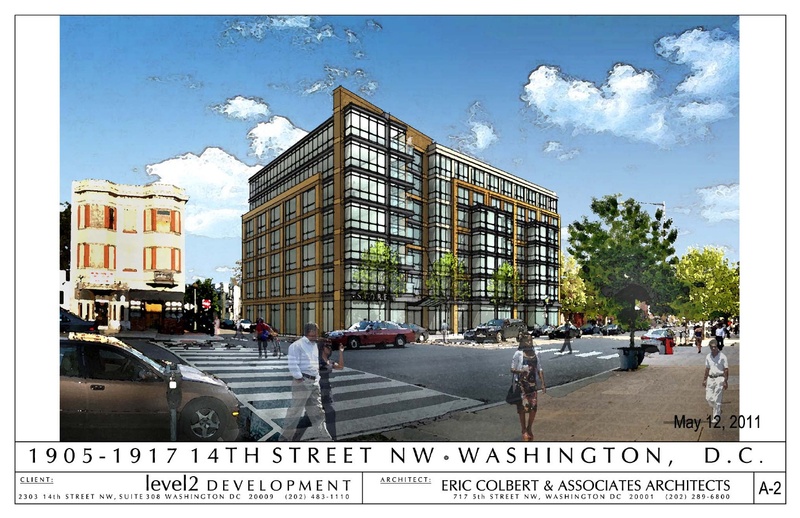 Relatively new kids on the block, U Street Dirt (who look at development along the U Street corridor) have a recap of the DC Historic Preservation Review Board look at a new residential building proposed for 14th and Wallach. The building, which would be a 7 plus story, 160 unit apartment building would replace the rather ugly post office/Yums/furniture store building. Seems like the meeting did not go well, from at least the building’s perspective. There was a lot of opposition of building on a small side street, Wallach, and the board pretty much asked for the developers (Eric Colbert and company) to come back with a new design. The future of this building is unclear: nothing was decided at the DC Historic Preservation Review Board meeting – and it has received initial ANC support. With all of the residential development already happening along 14th street (re-read 14th and You’s excellent recap) perhaps we have enough? I’ve been branching out in my blog reading and checking out DCmud fairly frequently. They have a post about a development on the southwest corner on 14th and U: the Utopian. 220 residential rental units, with historic structures along U Street remaining but structures along 14th street would be gone (I’d imagine all of those fast food joints are casualties). The building with be the tallest on U street: 90 feet, stepping down to 65 feet, then 45 feet on the south side as it moves down 14th. There are also plans for 20,000 square feet of retail and a roof top pool. This will be a major build out of the neighborhood if it happens. What do you think? Are you for or against? I’m kind of fine with the level of development in the area now but recognize that this could be good for the neighborhood and local businesses. I noticed there was some activity happening at the empty lot/abandoned building at 14th and Belmont. I didn’t see any work being done, but with the presence of a crane and a digger, there must be something happening. There is also a temporary no parking sign on both sides of Belmont through the end of the 1st of July. 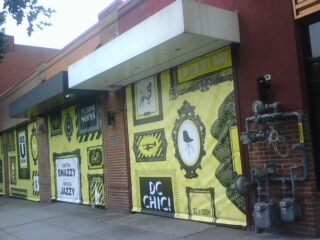 An old Columbia Heights News post from 2006 tells me the empty lot was meant to be condos with ground floor retail, but I wonder if that’s still the plan. Anyone know? Incidently, that shopping center that used to be there was strangely awesome, with the wig shop, no? UPDATE: It looks like the construction crew is working in the abandoned building, and I’m sorry to say they’re at least partially demolishing it as of 7:45 this morning. Pictures to follow tonight – I hope they’re not completely demolishing the building, it has really nice bones. The Gibson’s expanded their seating two fold by opening up a sweet patio, along with fancy frozen drinks. Awesome! I’m definitely going to have to check this out ASAP. The Perseus project on 14th and W has been stalled because of the economy. Now the new YMCA isn’t expected until late 2011. 14thandYou asks if St Ex is a restaurant or tavern, and what that will do to their liquor license. I say, it’s a restaurant that turns much more bar-like after 10 or 11 pm, but I don’t think there’s a licensing class for that.